The “Udav” pistol (- Удав – which in Russian means “Boa”), is a new development from the Central Scientific and Research Institute of Precision Machine building (TSNII TochMash), in association with KINETICA. TochMash is the leading small arms research, testing and development organization in Russia today. Their Udav pistol has been designed for purpose as a military issue sidearm to replace the older service pistols such as the 9×18 mm Makarov PM or 9×19 mm Yarygin PYa. It successfully passed official trials in January 2019, becoming approved for adoption by the Russian Army. However, general adoption of the 9x21mm Udav pistol seems unlikely in this writer’s opinion. Most probably it will only see limited use by various Special forces, military and law enforcement teams. 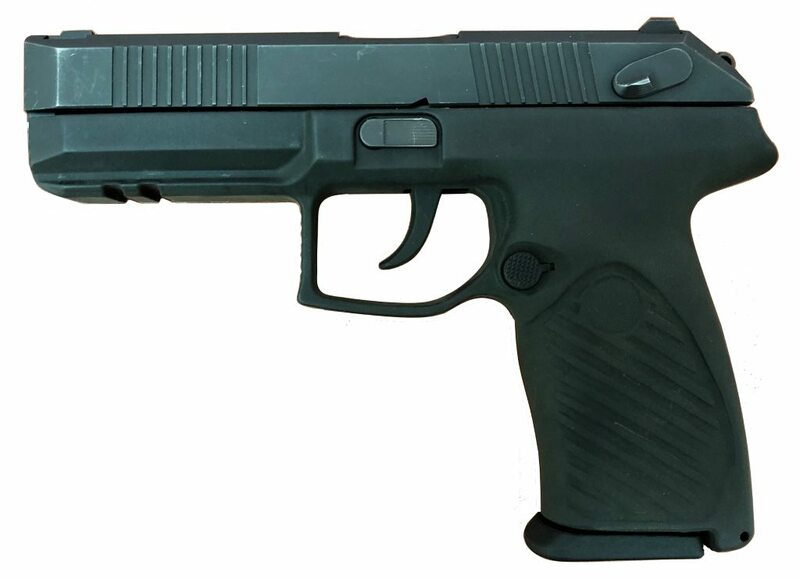 This being much in the similar vein as its predecessor, the 9×21 mm SR-1M pistol from the same manufacturer. The key reason for this prediction is its proprietary ammunition, the 9×21 mm family. These include SP-10 Armor Piercing loads, SP-11 low-ricochet FMJ loads (mostly for Law Enforcement use), SP-12 plastic-tip JHP (also for LE use) and 7BTZ AP-tracer rounds. While this ammunition is noticeably more powerful than most standard issue 9×19 loads, it is also more expensive and creates more felt recoil (and thus is harder to master for the average shooter). It is also at the present time, available from only one source – the TSNIITOCHMASH factory itself. On the other hand, 9×19 ammunition is available in countless variations and from all major Russian ammunition factories, not to mention an almost endless worldwide supply. The Udav pistol is a short recoil operated, semi-automatic handgun. It uses a traditional Browning-type action with a tilting barrel that locks into the ejection opening in the slide. The trigger is of double action type, with exposed hammer and ambidextrous safety levers on the slide. When engaged, the safety also automatically lowers (decocks) the hammer. The pistol features a polymer frame with steel insert molded into it. There is no manual slide release lever. The slide hold-open device is automatically disengaged to chamber a fresh round as soon as a new, loaded magazine is inserted into the grip. This pistol uses double stack, double feed magazines holding 18 rounds. The magazine release button is ambidextrous, and located at the base of the trigger guard. For special operations, the Udav pistol can be equipped with an extended threaded barrel to accept a detachable sound suppressor (silencer). It also features and inbuilt rail under the barrel, forward of the trigger-guard for the easy attachment of lights or aiming devices.